The mission of the Digital Book World conference is industry education around digital change. There is a plethora of programming for this year’s event that will serve that purpose particularly well for literary agents. Of all the people in the industry, it would seem to me that agents would get the fastest and surest “return on investment” for the time and expense of attending DBW. At the top of the “definitely not to be missed” list for agents are two items: the main stage presentation and breakout Q&A by Data Guy, the stats guru of Hugh Howey’s “Author Earnings” website, and the panel discussion called “Finding Common Ground: How publishers and authors — regardless of what path they’re taking — are working together”. Really necessary knowledge will also be delivered by Michael Cader, immediately preceeding Data Guy’s appearance, when he reviews the sources of industry data and clarifies what can realistically be discerned from them and what can’t. One more set of information no informed agent can be without will come from Rand Fishkin, the founder, former CEO, and Wizard of Moz, who knows more about Search Engine Optimization (SEO) and explains it better than anybody on the planet. Understanding SEO today is as important for everybody in our business as understanding “advance sale” or “coop advertising” was in years past. And, speaking of “coop advertising”, DBW will also feature an appearance by Fred Argir, the new Chief Digital Officer at Barnes & Noble. In a conversation with me, he will be laying out some insights from the biggest bookstore chain on new ways they might collaborate on marketing with publishers in the future. The Author Earnings website scrapes and interprets Amazon data, breaking down Amazon bestsellers by publisher type: Big Five, indie authors, and others. Then AE goes further, trying to calculate what share of the revenue went to authors. Recent enhancements to AE’s data collection have improved the precision of their sales and income estimates. They’re showing steady market share gains by indie authors with their lower-priced books, particularly since in their new contracts the publishers have “succeeded” in preventing discounting from their agency prices. Any agent trying to advise an author curious about or tempted by self-publishing really must know what Data Guy is up to. This will be DG’s first public presentation. His breakout Q&A will be moderated by Michael Cader, so the most knowledgeable industry perspective will be present as DG delivers his compelling alternative view of our sales universe. The “Common Ground” panel explores the new reality that author efforts constitute a critical component of all book marketing today. Jane Friedman, the leading indie author Sherpa in our business, will moderate a panel of two agents and two editors with extensive experience working with authors who have published both indie and through houses. Jane Dystel of Dystel & Goderich and Julie Trelstad of Writers House are the agents; Johanna Castillo of Atria (S&S) and Jaime Levine of Diversion Books are the publishers. These five people will draw on recent experience with dozens of authors to help us understand the current state-of-the-art for author and publisher collaboration around marketing. 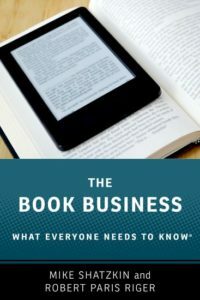 The challenge of “discovery” or helping readers find their “next book” has been moving up the industry agenda since Digital Book World started in 2010. Rand Fishkin of Moz will be focusing on “choosing the right web marketing channels for your book”. Agents who might previously have pushed for an ad in New York Times Book Review or a 5-city author tour need to understand what is the most effective use of support dollars today. Fishkin’s talk is also expected to provoke a lot of questions so he, like Data Guy, will have a breakout session that will allow attendees to get him to address their personal cases. There are two other whole categories of information agents need to know about that are big components of our DBW program. The four additional sessions on marketing could also be considered “can’t miss” for the agent keeping up with the digitally-affected ecosystem: one on ebook pricing; one on tracking “the book buyer’s journey” from discovery to purchase; a third on inbound and content marketing; and a fourth on email marketing. Since authors are critical players on the content marketing front and many also possess substantial email lists , it’s obvious that any agent would benefit from these! The other big category is understanding the larger ecosystem in which publishing exists, mostly shaped by the biggest tech companies. For the past 20 years, publishing has been increasingly dependent on and has given up a great deal of control to the likes of Amazon, Apple, Facebook, and Google. Those “Four Horsemen” are the ongoing focus of NYU Stern School of Business Professor Scott Galloway, who will describe them and their strategies in a Main Stage talk. Two speakers with a skeptical view of tech’s impact on publishing economics are Jon Taplin of USC’s Annenberg School and anti-trust attorney Jonathan Kanter. Taplin will lay out his theory about how Silicon Valley has steadily devalued content in favor of tech and what the content industry can do to fight back. And Kanter will explore the near-term possibilities for anti-trust activity that could loosen the grip those companies, each bigger than the whole book industry, have on our ecosystem. In the same vein, Jessica Saenger of Germany’s Boersenverein will update us about anti-monopoly activity taking place in Europe that could affect those companies and, since every US company and author gets real revenue from Europe, is important to all of us. There’s tons more: the company transformation talks (eight of them); author Virginia Heffernan on how the Internet is changing culture as well as how we buy and consume content; a session on sales reporting and analytics chaired by Hachette’s former CMO, Evan Schnittman. And what is actually a core topic for them, every agent needs to hear the panel discussing potential changes to copyright law being chaired by Roy Kaufman of Copyright Clearance Center. It seems pretty certain that the agent who attends Digital Book World will be better prepared to do the jobs of advising authors about marketing and business, as well as negotiating their deals, than the agent who doesn’t.